Time once again for my annual listing of the best books on education that I read in the past year. My selections are, of course, limited by the books that I chose to read and the time I had for reading them, but I think you will find both informative and entertaining reading in these pages. My thanks to these authors and to all the writers who champion the causes of public education and sound literacy instruction - your voices are needed now more than ever. 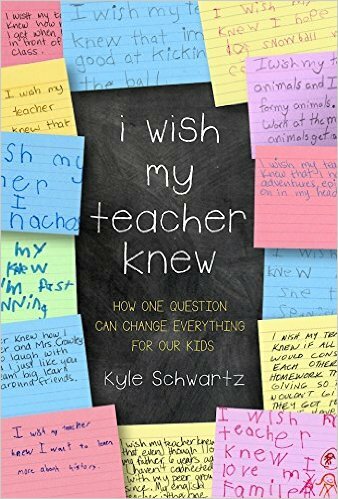 I Wish My Teacher Knew: How One Question Can Change Everything for Our Kids, by Kyle Schwartz. Da Capo Lifelong Books. Schwartz, a fourth grade teacher at Doull Elementary School in Denver, Colorado, asked her students to complete the statement that is the title of this wonderful book and the children's responses changed everything for her as a teacher. When she shared the lesson with others it became a Twitter sensation with the hashtag #iwishmyteacherknew. As might be expected, student responses to this question were eyeopening for Schwartz who had been teaching for just 4 years when she presented the lesson. She learned stories of absent parents, homelessness, no pencils for doing homework and sadness over parents being deported to Mexico. In the book, Schwartz takes the insights she gained from the exercise and expands it into a study about the importance of community in the school and classroom. She takes an admirably holistic view of the children and their needs, talents and resources. One aspect of the book I found particularly compelling was the Resources and Barriers Chart. It can be tempting to look at children of poverty only from the perspective of what they do not have. Schwartz helps us see how all children have resources and we need to build on those resources to help them learn. In this view, speaking Spanish at home becomes a resource, being physically active is a resource, showing interest in current events is a resource and these are resources that can be used to combat barriers like having difficulty paying attention or struggles with time management. Schwartz also gives excellent advice for teachers who work in a community where students are highly mobile. After telling the heart-breaking story of Ronaldo, the bright, eager student who had to leave school because his father was deported, Schwartz builds on the lessons learned to create Welcome Kits and Transition Mementos for children coming into or leaving her classroom. Other chapters discuss supporting students in trauma, grief and loss, building structures to develop student self-efficacy, and creating a culture that develops character. What I admire most about this book is that Schwartz has taken one good lesson and one key insight and expanded it into a richer understanding of how we can build a classroom community against the apparent barriers of poverty, trauma and transition. 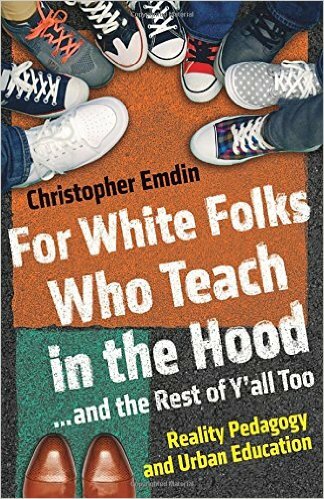 For White Folks Who Teach in the Hood...and the Rest of Y'All Too, by Christopher Emdin. Beacon Press. Christopher Emdin, Associate Professor at Teachers College, Columbia University, is out to explode the mythology of the hero teacher riding in on his/her white horse to save urban youth by teaching like a champion. He calls this very white, savior mentality what it truly is - colonialism. He argues that we will fail to make a difference in urban schools, filled with children of color, if we fail to recognize that their reality is not our reality. Indeed we need to start from an understanding of the reality of these children and teach them with a focus on that reality. Emdin calls his approach "reality pedagogy." Reading this book gave me a better understanding of why the achievement gap has been so intractable a problem for educators. We are applying a white, middle-class pedagogy to a non-white, non-middle-class culture. Until we, as educators, dig in and understand fully the culture of the children we are trying to teach, the achievement gap will continue, but what we really need to understand is that this achievement gap is in many ways an "instruction gap." It is not that white teachers who teach in the hood do not care, it is that they care in ways that are not productive for the children they are teaching. While I was reading this book, I could not help but think of the work of Larry Sipe, late professor of literacy at the University of Pennsylvania. Sipe studied minority children's interactions with read-aloud and found that children of color interact with text in very different ways from white, middle class kids. They tended to not sit quietly and listen and then raise their hands when they wanted to comment, but rather to enjoy a book as a kind of call and response activity where they engaged with the book, calling out and interacting as the book was being read and sometimes even expanding and innovating on the story. This type of behavior, a normal part of these students' cultures, might not be tolerated by teachers seeking orderly dialogue and so Sipe posited that the way that minority children learn may be disadvantaged in the classroom. I often tell my prospective teacher students that they will know what to teach if they follow the child, observing closely what the child needs. Emdin takes this insight to a whole new level. In order to teach urban youth well, we must fully understand and embrace the rich culture they bring to school, which is their greatest ally in learning. Whether you teach in an urban environment or not, read this book to gain a better understanding of what teaching will need to look like in our increasingly diverse society. Old models of teaching simply will not suffice. 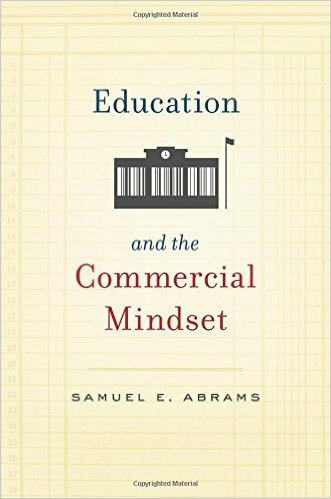 Education and the Commercial Mindset, by Samuel E. Abrams. Harvard University Press. Abrams is a veteran public school teacher and administrator and currently the Director of the Center for the Study of Privatization of Education at Teachers College, Columbia University. In this book, Abrams takes a detailed look at the school privatization movement through two notable privatization experiments: Edison Schools and KIPP Charter Schools. Edison was one of the first companies into the school privatization game. Led by media mogul, Chris Whittle, the company started out as an experiment in private education for public school students, morphed into a troubled school management organization and finally died a quick death in the face of disappointing educational results and a rising tide of community opposition. It is a compelling story that plays out against a background of outsiders experimenting with educational designs on the predominantly poor children in urban areas like Baltimore and Philadelphia. Ultimately, Edison could not deliver on its promises of profits to its investors or improved academic performance for its clients. The company died an ignominious death and Whittle left in 2015. The KIPP Charter chain is a different story, but just as compelling for those worried about the privatization of public education. KIPP schools are non-profits who receive public funds to provide education to public school students, mostly in urban areas. As Abrams shows, KIPP schools also receive considerable funding from wealthy donors who wish to invest in school privatization. This money allows KIPP schools to spend more than $3,500 more per pupil than the public schools. KIPP is known for its harsh discipline practices, its compliance oriented school environment and its test-score focused curriculum. KIPP"s success has attracted a great deal of attention, but Abrams asks us to consider what the costs are of this success to the kind of citizens we really want to produce in schools. This is a must read for those who wish to get a richer understanding of the privatization movement well-beyond what we generally read in the newspapers, magazines and TV reports. Diane Ravitch wrote a full-blown review of the book for The New York Review of Books. 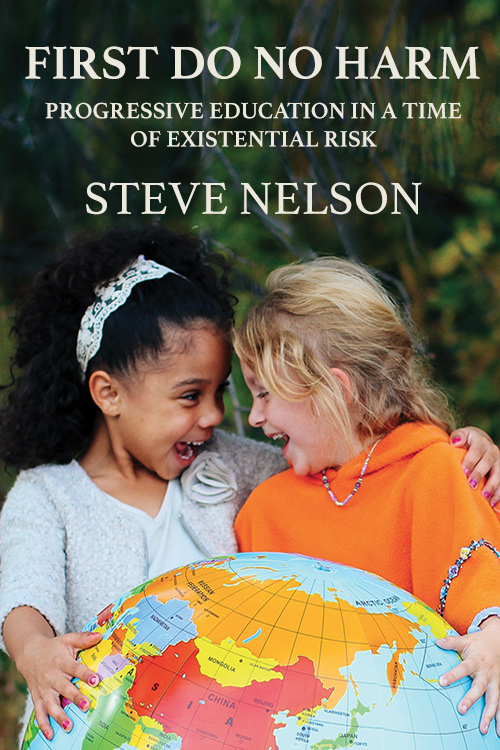 First Do No Harm: Progressive Education in a Time of Existential Risk, by Steve Nelson. Garn Press. Steve Nelson is the Head of School of the exclusive private Calhoun School in New York City. Nelson's book may seem like an odd choice for this blog which seeks to champion public education, but Nelson's book gives us a clear-eyed, thoughtful and well-written account of what Temple University Professor, Kathy Hirsch-Pasek calls "school the way it should be." This is what Nelson has achieved in this book, shown us school they way it should be for all children, rich or poor; black brown, or white; urban, suburban, or rural. Nelson shows us that it is actually the current education reformers who are the conservatives, seeking to maintain a system of public schools that was designed to spit out compliant factory workers 150 years ago and is now designed to educate a compliant work force subservient to the privileged 1%. To stir in each child a continuous commitment to be thoughtfully engaged in the ongoing evolution of our democratic republic and to exercise his/her individual and collective responsibilities within a global community. To allow all children to grow into deeply satisfying and ethical lives. Nelson's child centered vision of school and schooling is certainly idealistic. But it is important for all of us to have a clear understanding of the ideal, so that we have a worthy target to shoot at in the service of children. After you read this book, you may find yourself looking at your students, your curriculum, and your instruction a little differently. Who's Doing the Work? 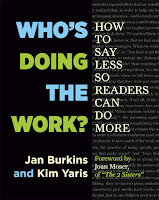 How to Say Less So Readers Can Do More, by Jan Burkins and Kim Yaris. Stenhouse. 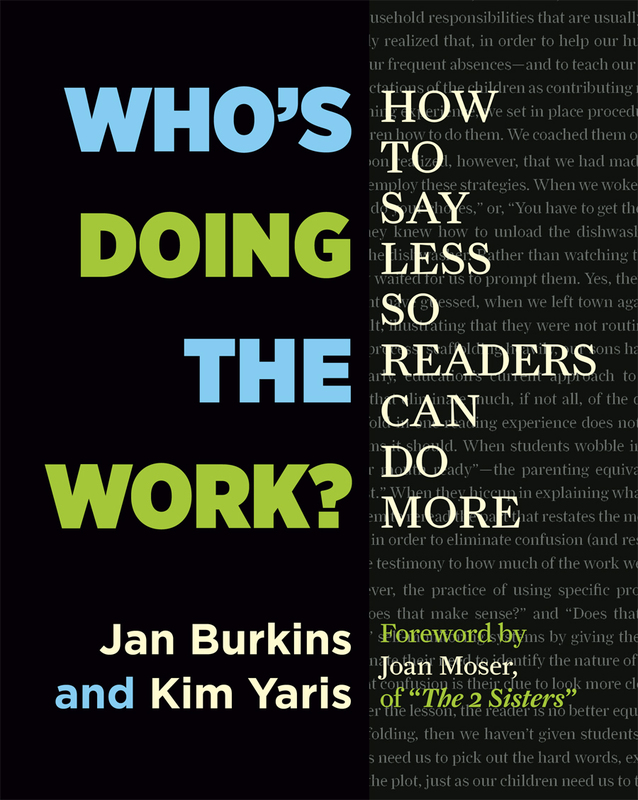 Jan Burkins and Kim Yaris are among my literacy instruction heroes. Not only do they maintain a terrific blog on literacy Think Tank for the 21st Century, but they are prolific writers of wonderful books, filled with keen insight and an orientation toward a balanced literacy approach. Two years ago, I had the pleasure of reviewing their book, Reading Wellness, and this year they are back with another very helpful book, Who's Doing the Work? For all teachers of literacy our goal is to help children become skilled, strategic independent readers of fiction and non-fiction texts of all shapes and varieties. In their new book, Burkins and Yaris show that sometimes in our zeal to scaffold student literacy development, we are overly helpful of students, turning them into readers who are dependent on teacher intervention rather than independent readers. Organizing their book around the key elements of balanced literacy, read-aloud, shared reading, guided reading and independent reading, Burkins and Yaris clearly and methodically show us how to scaffold literacy in a way that leads to independence rather than dependence. Dividing instruction into conventional practice and next generation practice, the authors first show us what is and then suggest what should be. This very useful construct provides, if I may say it, the scaffold for the teacher to learn how to move from the conventional to the next generation smoothly and effectively. Useful charts comparing conventional and next generation instruction clearly drive home the key points of each chapter. What the authors are really asking is that we all fine tune our practice to make sure that the gradual release of responsibility so important to creating student independence happens in each component of balanced literacy instruction. This is a book that all teachers in grades K-8 will want to have on their professional reading shelf and will find themselves referring to often. My colleague Nancy Chodoroff wrote a full review of the book for Middle Web. These are my choices for best books on education 2016. Of course, there were many fine books from the past year that I did not get to. What books would you add to the list? Please add your comments below or on my Facebook page. Looking forward to much great reading in 2017. Happy New Year! This is my third annual publication of posts that, for one reason or another, attracted little attention the first time around. It has been a year of gratifying growth in this blog; a year filled with the excitement of the publication of my book, A Parent's Guide to Public Education in the 21st Century, and a year of great consternation and disappointment on the political front. Through it all, this blog has allowed me to give voice to my beliefs about good literacy instruction and sound education policy and to make new friends and greet new readers from throughout the country and around the world. So, as Noble Laureate Bob Dylan would say, while "writers and critics throughout the land" publish their year end "Best of ..." lists, I present The Least of Russ on Reading. I hope you will give some of these posts from the last year another glance. A great classroom conversation leads me to an insight on the importance of fiction and poetry in helping students see the point of view of others - to develop empathy. This development of empathy is a key "outcome" of the reading of literature in the classroom. Corporate Education Reformers seem to forget that the bargain struck on accountability in the schools was that students and teachers would be held accountable for improved performance, while policy makers and state and federal governments would be held accountable for making sure the resources were available for students and teachers to be successful. Somewhere along the way, that third part of the three-legged stool fell by the wayside, while reformers doubled-down on student and teacher accountability. Mistakes are the lifeblood of teaching. It is through student error that we learn what to teach next and through our own errors that we learn how to teach better. Right before the election I found myself musing about the importance of good fiction to a functioning democratic society. Could it be that the lower status of fiction in the public school curriculum today is the exact wrong way to go right now? Today, I continue a four-year tradition here at Russ on Reading, spreading the joy and wonder of the holiday season through poetry. Happy Holidays and a joyous and fulfilling New Year to all of my loyal readers. One way to ensure joy in the coming year is to bring more poetry into your lives and into your classroom. Here are three to get you started. I wrote this poem for my second grade students more than 20 years ago. It was inspired by a refrain I heard them saying during the week before Christmas. When Santa’s due in town? Did Santa get my letter? And now it’s Christmas Eve. A tuggin’ at my sleeve. Trying hard to get to sleep. Oh! Christmas please come soon. Here is one from a favorite poet of my middle school students. Someone came, and kissed me there. Lips unseen - and kissed me there. And finally, a Wallace Stevens riddle for older students. Beyond Grades: How Am I Doing? In a post two weeks ago, I argued that we need to move away from grades for reporting student achievement. I argued that grades are ineffective in reporting student learning, encourage a grade acquisition orientation rather than a learning orientation, and destroy the motivation of lower achievers. But if I am going to argue against grading, I need to be ready with suggested replacements for grades. I begin an attempt to do this below. I would appreciate it if you tell me what you think of my ideas. First, I think we need to decide what our goals are for reporting out on student achievement. I would argue that there are three reasons we wish to assess and report out and all of them have to do with providing feedback to stakeholders. First, we want to report on student learning to the student so that the student can answer the question, "How am I doing?" Next we want to provide feedback to parents, so that parents can answer the question, "How is my child doing?" Finally, we want to provide feedback to the school/district to inform curricular and instructional decisions moving forward and to answer the question, "How are we doing?" In today's post I will address the first question; the one related to reporting out to the student. Learning is a process of adding new information to information you already know. Any assessment program should inform a student about what she already knows and what she needs to learn. Reporting a grade to a child provides only a vague notion of what is known and not known. Better to give more specific feedback. Let's take reading as an example. 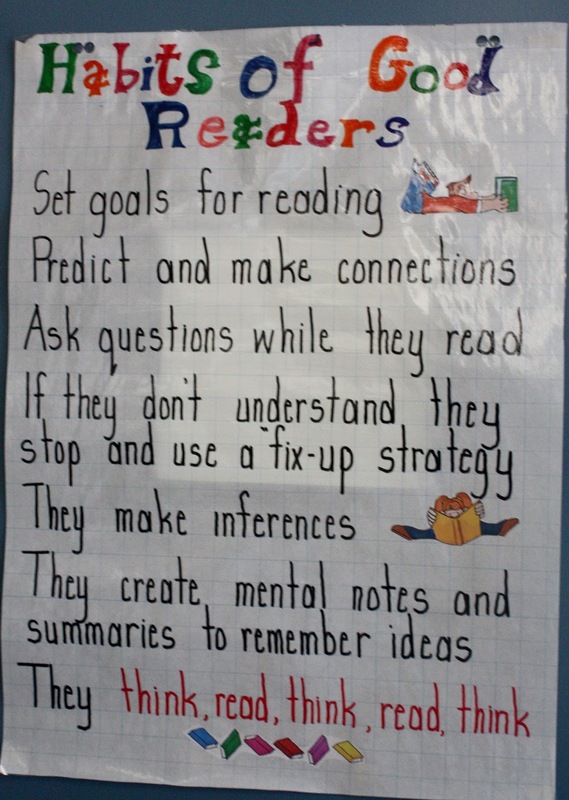 Here is the information that a child needs to know about reading progress. What am I doing well in reading right now that I should continue doing? What aspects of reading do I need to work on? What do I need to do to improve in these areas? What are we going to work on together to improve in these areas over the next few weeks? Ideally, students participate in this assessment through their own self-assessment. 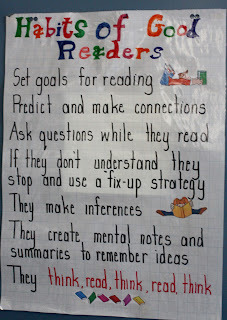 In my reading classroom, my students and I would periodically brainstorm a "criteria chart" of reading behaviors that we had learned about in class. After developing the chart, I would ask the students to identify on a T-chart those things on the list they were doing well and one or two things they still needed to work on. I would then sit individually with the students to discuss their strengths and weaknesses (sometimes lists would change based on my input) and then develop goals for the next few weeks. OK, I think I know what you are thinking. This may be fine and good for a skill based subject like reading or writing, but what about a content-based subject like science? Again, I think a similar strategy would be most effective. The key will be identifying what you want the children to know and be able to do in any particular science unit. The assessment/feedback loop must be focused on the knowledge you want kids to acquire and feedback on how well they have acquired that knowledge. Students will be able to identify various ways that land forms change rapidly and slowly. Students will be able to identify the elements of the rock cycle. Students will learn that rocks can be identified by their properties and will be able to to identify various types of rocks. Students will be able to identify the differences between rocks and minerals. Students will be able to work like a scientist by conducting experiments in crystal formation and rock formation. Through authentic assessments (in-class activities where students get a chance to demonstrate their understanding), observations, written work, quizzes and tests, the teacher gathers knowledge about what the student knows and is able to do. During the unit and at the end of the unit, occasional conferences, often brief and informal, occasionally a bit longer and formal, are held to provide specific feedback to the students. By the end of the unit teachers report to the students on their success in achieving the objectives. In this scenario the questions would be as follows. What do I know about land forms, elements of the rock cycle, rock identification, and the differences between rocks and minerals? What gaps in my knowledge have I shown in these topics? What can I do now and in the future to fill in these gaps in my knowledge? To what extent have I shown the ability to think and work like a scientist by conducting experiments? What do I need to work on to make more effective use of scientific problem solving? What are my strengths and challenges in reading science content? What progress am I making in acquiring science-based vocabulary? What are my strengths and weaknesses in writing about science content? This kind of direct and specific feedback is much more helpful than a vague, imprecise grade, which tells me almost nothing about what I have learned and what I need to work on. If one reason for grades is to provide feedback to children, surely some system like the one described above provides far superior and much more useful feedback. Perhaps you are thinking that this is all well and good, but parents will never accept it. Parents want grades. Parents believe grades have some meaning, primarily because we have tried to convince them that they do over the past 150 years. We all know better. We need to tell parents we were wrong, We need to show them there are better ways to report on learning. 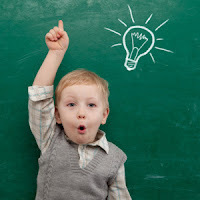 In a subsequent post, I will address how we can best answer the parent question, "How is my child doing?" To read about a procedure that two school districts used to do away with grades, click here. Three articles in the Sunday Review Section of the New York Times this week resonated strongly with me in this time of greater and greater division in my country. First was a report by Ben Austin on Violence and Division on the South Side of Chicago, which reported on efforts to get some dialogue going between the mostly minority inhabitants of the South Side of Chicago and the mostly white area of Mount Greenwood, just adjacent to it. The area has been the sight of protests, sometimes violent, in the wake of a killing of a Black man by a white police officer. A small group from both sides of the issue are working to get a conversation on race and prejudice and "Black Lives Matter" and "Blue Lives Matter" going. Progress has been difficult, but at least the discussions have started. Next came a piece by Heather C. McGhee titled, "I'm Prejudiced", He Said. Then We Kept Talking. This was the remarkable account of the author, the president of Demos, a public policy organization, and a man named Garry who called into a show on C-SPAN to make the startling confession of the title. The caller asked for help with his prejudice. This led to several meetings with McGhee in which both of them learned a great deal about each other and about the character of prejudice itself. As McGhee puts it, "Gary asked, 'What can I do to change?'" and his ability to acknowledge the persistence of prejudice allowed her to answer. Finally there was, The Roots of Implicit Bias", by Daniel A. Yudkin and Jay Van Bavel. Yudkin and Bavel assert that implicit bias is real, but it is not rooted in prejudice, so much as in the human tendency to divide the world into groups. In other words, what may appear as prejudice may actually be "a manifestation of a broader tendency to see the world as "us vs. them." The good news is that according to the author's research, implicit bias van be overcome by "rational deliberation." These three articles, I think, point to both the great tragedy and the great potential of American society and, by extension, the great tragedy and great potential of the public school. In American society we are learning everyday of the toll we have paid through systematic efforts to divide us and see others as "them", those about whom we know little and with whom we share little. When I say this is deliberate, I mean that the segregation our society faces has been the deliberate result of economic and political forces that have conspired to keep the races separate. 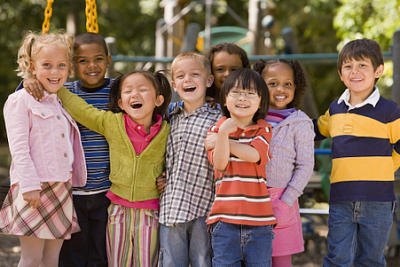 In our schools, it is no accident that once vibrant urban schools have fallen into disrepair. This is the result of white flight to the suburbs in the 1950s, 60s, 70s and 80s and then the deliberate under-funding of inner-city schools once those with political and economic clout had relocated outside the city. The movement toward charter schools in the cities has further segregated the public school community. But as I look at these three articles, I can see how the public school can play a role in helping us improve this long-standing stain on the America of all of our imaginations. These articles suggest that what we need more than anything else to combat prejudice is to connect, to talk, and to deliberate. I grew up in the 1950s in a segregated community. African Americans where prohibited, through tacit agreements between the builders and real estate agents, from buying homes in Levittown, PA. African American families were forced to live on the outskirts of town, in developments largely reserved for them. The first Black family to move into Levittown was greeted with angry protests and burning crosses. But Levittown's schools were integrated and I had the great good fortune to go to school with people of all races and colors. This allowed me to connect. To make friends across racial lines, to play ball and study and goof off and go to parties with all different kinds of people. The experience was absolutely formative. All of my classmates at Woodrow Wilson High School came of age during the Civil Rights Movement, and while there was not always unified agreement on all issues, the basic humanity and belief in the equality of all human beings was unshakable for that group. With the highly segregated schools today, not only divided along racial lines, but also economic lines, these connections become harder to make. We need to come up with deliberate strategies that allow students from all different groups to connect. As long as neighborhoods are segregated along economic lines, this cannot happen, unless we begin to think of neighborhoods more broadly. Yes, I am talking about busing across school district lines to achieve a better racial balance. And yes, I am aware of the narrative that busing was tried in the 70s and failed. The truth is that busing did not fail. In the period when busing was prominent in the late 70s through the late 80s, the achievement gap in schools actually narrowed. It was only after reactionary forces declared busing a failure that the achievement gap and school segregation began to grow again. Busing did not fail, people failed and they failed because of a failure to connect with each other and to continue the dialogue on how to make it work. True integration of schools would help narrow the achievement gap and help children make the connections they need to learn to live with those other Americans they will be living with in the future. In the meantime, if we cannot make these direct connections right away, we can certainly get some dialogue going between and among kids of all different races, religions and ethnicities through some basic technology. Lately, my wife and I have been thrilled to have Facetime available so that we can get periodic visits from our new grandson, Henry, who lives 1,000 miles away. Facetime allows for our regular Henry fix. Technology should allow children to connect across school district borders. When I was in 4th grade, my teacher arranged for us to have pen pals from Germany. It was a powerful learning experience that led me to study German culture and language in high school. If pen pals during the snail mail era can make powerful connections, whole classrooms, suburban and inner city, should easily be able to design and work together on all kinds of projects that open them up to dialogue and understanding. This seems to me to be a way to truly use technology to advance learning in a large way. If we are up against artificial borders that limit dialogue, why not use technology to break down those borders. This seems like a smart way for Bill Gates to spend his education dollars. Third comes rational deliberation. If any place is well suited to rational deliberation it should be the school (I know, many things going on in schools these days hardly seem rational or deliberative, but still...). If it is true that human beings have implicit bias, it is also true that school children have an innate sense of fairness. They want to be treated fairly. They want their classmates to be treated fairly. The get indignant when they sense someone is not being treated fairly. We can build on this through what we read, what we write, and what we talk about in class. Here is a great bibliography of books, divided by age groups, for addressing issues of race and prejudice. We need to read these books aloud to children and we need to assign them to be read. We need to be talking about these books with children and we need to provide the children opportunities to talk to each other about what they have read. We need to allow children to reflect on what they are reading in informal and formal writing activities. Deliberation is the essence of education. A child who deliberates on these issues, may grow into an adult who can deal with these issues in a deliberative manner. Recent current events have exposed rifts in our society that many of us have had the luxury to ignore for the last many years. We can no longer ignore them. Fortunately, school is a good place to deal with them and school children are the ideal audience. Currently, at least 14 states grade their public schools on an A-F scale. Educators are correct to point out that this is a stupid way to hold schools accountable. Three reasons pop out right away when we think about the idiocy of giving schools a letter grade and then publicizing this grade through the media. A letter grade cannot possibly capture the complexity of the learning society that is a school. So many factors go into what makes a school high functioning or low functioning that letter grades, leaning heavily on standardized tests, are suspect from the outset. Low grades given to schools where teachers, administrators and students are working hard at overcoming the odds, destroy morale and inhibit motivation, while high grades may encourage a false complacency. So, yes, all educators should fight against these short-sighted, narrow-cast attempts to assess their work on a school-wide basis. Unfortunately, we teachers cannot claim the moral high ground here. Teachers, after all, invented A-F grading and for the past 150 years or so have been working to convince parents, students, and community members that grades are a legitimate way to assess a student's knowledge. This is a lie. It is a lie that the public has bought into wholly and now the public, in the form of state legislatures and departments of education, is coming to punish us with our own invention. 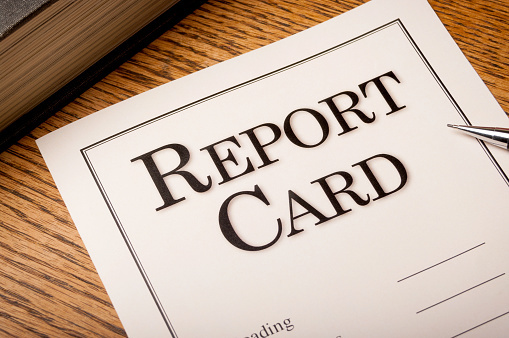 Letter grades for students have all the same flaws as letter grades for schools, except that instead of the damage being institutional it is personal. Letter grades for students, we all know, are woefully inadequate measures of the complexity of individual student learning. Grades narrow learning by creating a "grading orientation" rather than a "learning orientation." While high grades may motivate students to want to achieve more high grades, low grades are demoralizing to lower achieving students and destroy motivation. We tend to pack too much into grades: test and quiz scores, homework completion, attendance, classroom participation, effort and on and on. Many of these things are only tangentially relevant to actual achievement, but all get packed into a grade. I was recently a part of a discussion on assessing writing. The teachers were working on a rubric, which tried to capture all the aspects of a constructed response essay. At one point, the principal pointed out that the rubric score was not to be considered as a grade. In fact, a student with a "4" out of "6" on the essay, might get an A if she were in a low track class or a C if in a higher track class. The teachers generally agreed. Immediately, we have to ask, what is being graded - the student's ability to write or the student's perceived overall ability? Obviously, the grade does not reflect, in this scenario, writing ability, but some aspect of writing combined with effort, combined with teacher perceptions. And so it is with all grades. They lie. They do not provide useful feedback, but we have convinced the public they are meaningful. Alfie Kohn has argued for years that grades diminish an orientation towards learning. A "grading orientation" as he calls it, causes students to focus on getting a grade rather than learning new and interesting information. A grading orientation leads to a desire to choose the easiest possible task, because that easier task will lead to the better grade, not necessarily to better learning. Students become efficient grade acquirers. For example, when assigned a reading task with follow up questions, the efficient grade acquirer will go straight to the questions and answer them, only reading what is absolutely necessary to complete the graded assignment. A grading and testing orientation narrows students focus on the trivial and takes them away from the larger questions and broader understandings in any area of study. In a Psychology Today article, Schwartz and Sharpe argue that "if we corrupt students' souls by convincing them that the main motive for learning are high grades and honors, we end up de-motivating, and de-moralizing, those students who have little chance for the top rankings. It is true that studies have shown that grades can be motivating for high achievers, but often, as discussed above, this is at the cost of deeper understanding. I had a group of so-called "college bound" 8th graders many years ago in an American History class. The students in this class were used to getting As on all there work. They understood the school "game" well and were bright and capable. I had a habit of including one or two essay questions on my tests and quizzes along with map identification and multiple choice questions. These students regularly Aced the map and multiple choice questions, but struggled mightily with the essays, which tended to read like a list of highlights from the text, rather than well reasoned arguments. Some of these students started getting Bs or Cs on their tests. They were incensed. We had a lengthy discussion about what it meant to think like an historian, but the students felt I was changing the rules on them. They were A students after all. How dare I? If I had had a little more experience (and tenure) in those days, I might have told those students what I tell my college students now, "All of you in this class are smart enough to get an A, so I am going to give you an A right now. Now let's get on with the actual learning we have to do." I know nothing I say here is going to change grades and grading in the near future, but I do want us all to understand that when others seek to grade us, we have only ourselves to blame. In subsequent posts I will discuss better ways to assess student learning.